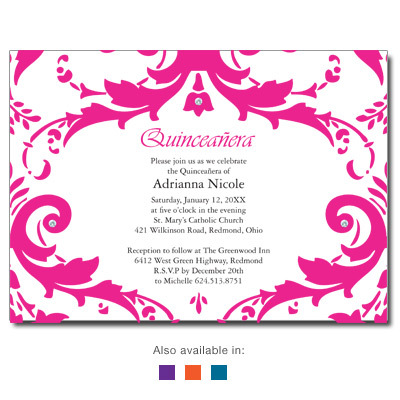 Your event information is framed by a damask pattern in variety of color combinations on this formal invitation. Add an upscale touch with three silver jewels. Card measures 7 x 5 and comes with self-adhesive press on jewels. Light assembly required.